The sport of catfishing is witnessing new names arriving in the tournament world in 2017. 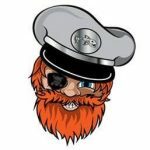 Captain Mad Jack’s is one of them; they are a newly formed tournament, open to the public, and will be taking place on Taylorsville Lake (Taylorsville Lake State Park) in Kentucky. View the Event Details on our Catfish Tournament Calendar: click here! “Catfish Clash – the nocturnal pursuit” gives a taste of what to expect. Captain Mad Jack’s Catfish Clash is a night event starting at 9 PM on July 14, 2017 (Friday), and will end the following morning at 8 AM on July 15, 2017 (Saturday). Captain Mad Jack’s catfish tournament (Catfish Clash) will be taking place on Taylorsville Late, at the Possum Ridge Boart Ramp. The boat numbers will be determined by the order in which applications are received. Catfish Anglers have to register the day of the catfish tournament from 5 PM to 8:30 PM on Friday, July 14, 2017. The organizers are offering the possibility to register online through a PayPal link – there will be a convenience fee of $5 for doing so – that fee is waived on the day of the catfish tournament.